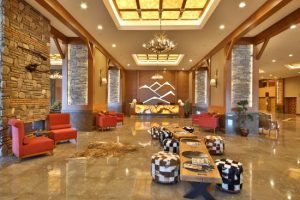 Bulgaria Info Guide proposes you a list of almost all the hotels in Borovets. In our list below you can find a presentation, several photos, the exact address on the map and the rental fees of many hotels in Borovets. You can choose between cottages and apartments for rent, as well as 2 stars, 3 stars, 4 stars and 5 stars hotels for your winter or summer holiday.